By all accounts I shouldn’t be here. I was born into being what I can only describe as an outsider. My life started in England, about an hour east of London in a small town called Braintree. As the youngest of three, I came along during a time of relative turmoil for the family. My father, a serviceman in the US Air Force met my mother, Ann, thirteen years earlier at a social mixer/dance in Hammersmith, London. The year was 1962. 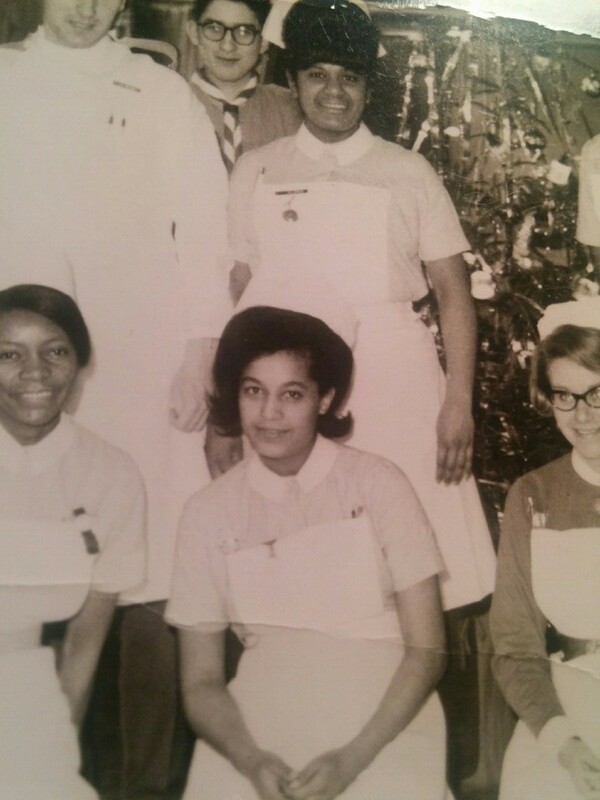 My mother was in nursing school at the time and Edward (my father) was stationed at a now-defunct Cold War base, RAF Ruislip in West London. They eventually married about one year after that dance, and my brother was born not long after that. We spent our formative years in a council house: the Goldingham Estates (aka “The Estates” as it was affectionately known) in Braintree. This place could be easily described as the analog to public housing in America. To get an idea of what Braintree is, picture a tough manufacturing town similar to a Rust Belt city in the US. The town served as a munitions manufacturing center during World War 2 and as such it was constantly the target of German bombs. The scars and fallout from that period were carried forward and remain in the culture as demonstrated by the tough nature of its people. For those that may not know, the county of Essex, where Braintree is, sometimes is mocked as being the underbelly of English class and as such it is the punchline of English jokes on low class. It’s a sort of running joke. Our neighborhood never worried too much about any of that, to the contrary we had pride. The neighborhood was tough and you had to show toughness, but it was also familial, and the cultural principles of the neighborhood bound us together. We were one big extended family. We all spent what I can only imagine is an unusual amount of time in each other’s yards when compared to today’s neighborly interactions. Viewed from the neighbors point of view, I imagine my parents’ marriage seemed typical, but inside the home there was incredible strife. 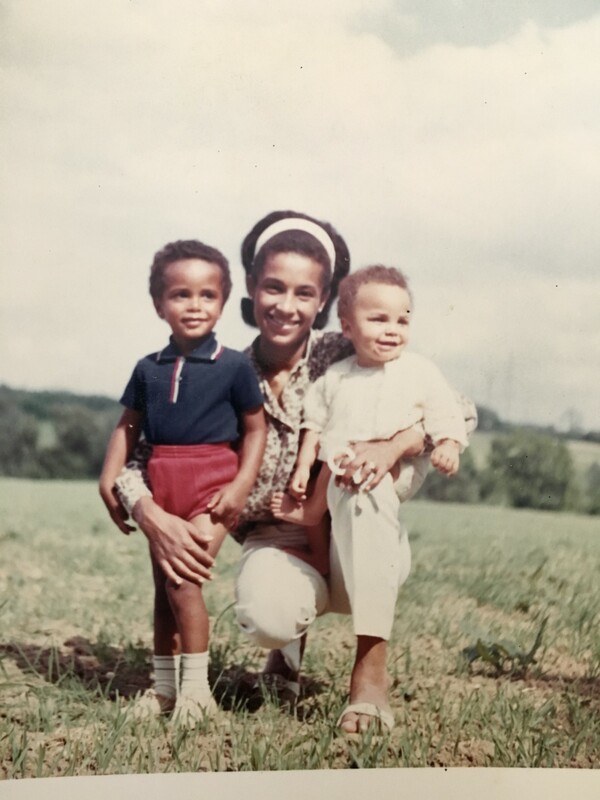 By the time I came along my mother and father were splitting apart. Eventually, my father disappeared altogether. He literally vanished, leaving his family to fend for ourselves. My mother Ann is a tough woman. When I say tough, I don’t mean tough like an old leather shoe that’s somehow stood the test of time; I mean tough like the soldiers in the movie 300. She needed to be tough. 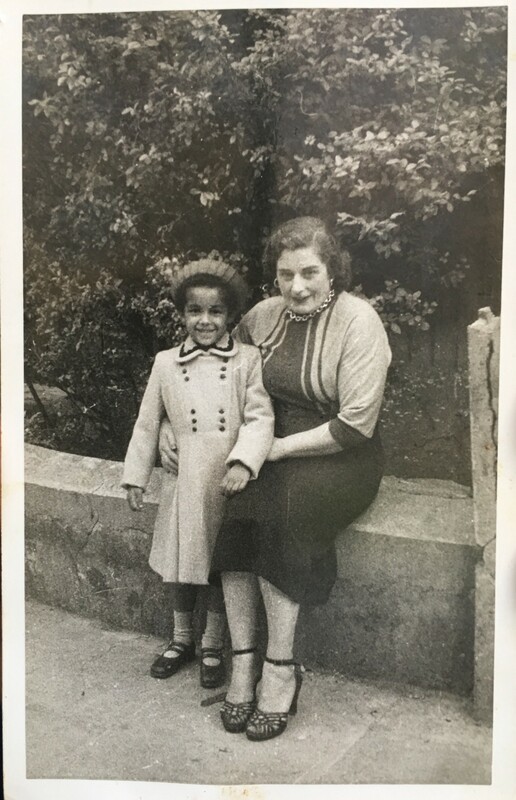 Starting with her looks — half Caribbean and half Irish with freckles — she was raised in a Catholic orphanage after being abandoned by her Irish mother, due to the shame of an interracial relationship mixed with an out-of-wedlock childbirth. At 16, after the nuns fulfilled their job, Ann found herself out on her own in the urban jungle that was London in the 1960s. Her long history of using savvy and steel nerves to survive was tapped many times after my dad took off. 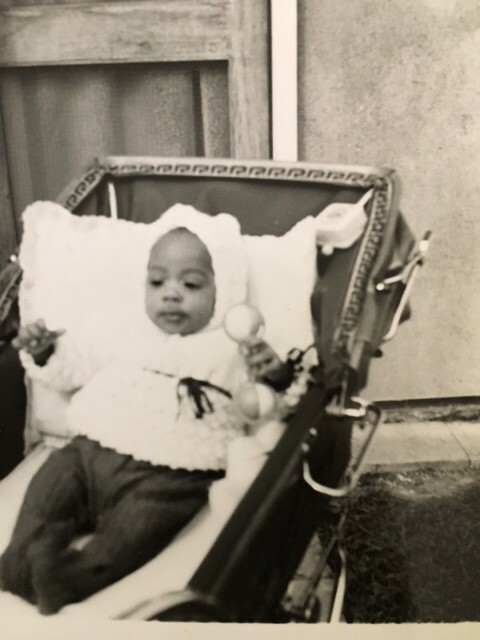 My mother tells a story of how she brought one-year-old me in a stroller along with her to the government aid office. She hit a wall and needed to apply for welfare in order to for us to have food and diapers for the week. The experience ended up being foundational. The aid office was absolutely overrun and the overworked staff was disconnected. She waited all day, with me in wet diapers and no food. By the time they got to her, they treated her so badly and made her feel so ashamed for being in her position that she looked at the administrator and told her that she would never take her pity or her disdain. She walked out without taking the aid and swore she would never ever accept any handout from anybody from that point onwards. She held it together until she could get a good distance away and then knowing the gravity of our situation, she looked at me and cried a gut-wrenching cry that only a mother who is alone could have cried. But she gained even more insight into the dignity that already existed inside of her that day; she tells me repeatedly that she learned that dependency, and victimhood, is an attitude. She repeatedly told us to work hard, avoid taking hand outs, and earn everything. This prideful defiance and self-reliance became the cornerstone of the work ethic and principles I’ve lived by. A story that I think encapsulates this is Christmas Eve 1975, when she delivered newspapers in the snow with me in the stroller to secure the necessary money needed for gifts to put under the tree for my siblings and me. Twelve years from that day, she went on to buy that council house back from the UK government. She then sold it to my older brother, then in his twenties, who was in a position to buy it by then. 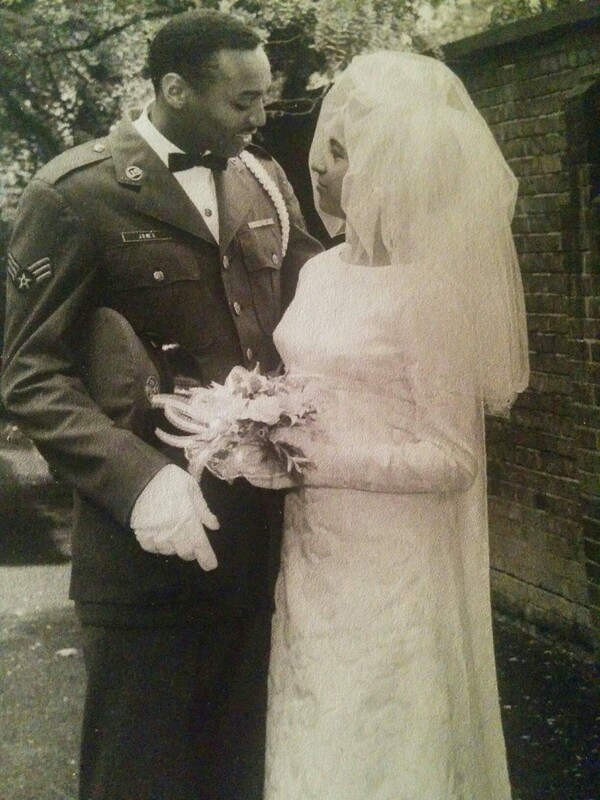 When I was 10 years old my mother remarried; another Air Force serviceman. We moved to Germany and then to the Kansas City area. After my stepfather retired, the wheels fell off again. Maybe it was the sense of purpose being lost that drove these men to lose their way. I really can’t say, but it forced me to grow up fast. At 17, I became the de facto man of the house. This meant taking over the shortfall of bills and mortgage so that we could keep the house. I would work crazy hours at the local burger place until close at 1AM every night and then would sleep in fifth period study hall at school. My grades suffered greatly. I was one of only four black kids at my school and none of the teachers really noticed or cared. Armed with my newfound decision-making authority, I removed myself from the rural high school and enrolled myself in a school in Kansas City. I moved into my older brother’s place and crashed on the couch to make the best of a second chance, a fresh start away from all the madness. There were two kind teachers who cared and saw something in me. They took ownership in my success and I graduated with a 3.8 GPA. I returned to my mother’s home after graduation without a plan. With no money and no plan to go to college, I took whatever job I could find. This meant the local battery factory. I worked 12 hours a day in the heat of a huge oven the size of a house. My job was to cure the lead into dried cells ready to be filled with acid for ATV batteries. From there, driven by the principles gifted to me by my mother, I began to build my life. It’s been a long and winding journey, one that started with my own refusal to take the easy road. For example, the many lessons that came full circle when I found myself living in my car for two weeks at 22 years old even with the option to go back home to live in mom’s basement. When she expressed her fear for me during that moment, I had to remind her of her very own lessons to me. My back was against the wall and facing a moment of survival. I decided to gut it out. Because of that decision twenty something years ago, I learned how to sell and how to negotiate. With nothing in my pocket and nowhere to go, I walked into a local business and just began working: I unloaded the delivery truck that was bringing in their inventory. I knew it was a risk and that I could have easily been arrested. The manager obviously got wind of my presence and the moment he confronted me (part of my plan), I sold him on why he should hire me. I won the job. I wasn’t finished. I then convinced him to vouch for me to get an apartment across the street as well as to pay my first and last month’s rent. I had nothing to lose. By not going home, I learned some things about myself and about the world: I learned that I could sell, and that progress is the culmination of taking well timed and carefully thought out risks. This process was probably repeated about 5 or 6 more times throughout my career. These lessons have been core and foundational to my journey, which has now landed me in Silicon Valley. There is no reward without risk. And while there is nothing earth shattering about that sentence, one thing I’ve learned is it is absolutely possible to take risks that have no chance for reward. By 2010, I found myself insanely bored. After meeting and spending time with entrepreneurs in the job I was in at the time, I started to identify with those entrepreneurs. I saw all of the business knowledge and skills I had taught myself, and all of the life techniques I had used to survive, as having untapped value. I started to understand my psychology and background as being that of an entrepreneur. So at the end of 2010 I decided to take the ultimate career risk. After all those years of climbing up and out from nothing to a life and career of relative normalcy — benefits, a bi-weekly paycheck, a family — obviously it’s a good time to settle in, right? Nope, perfect time to disrupt myself, my family, and my comfort for the sake of a vision. Working with entrepreneurs every day had given me something invaluable: it unlocked the knowledge about myself that I had undervalued up until that point. You see, many life lessons are actually analogous to the chaos of a new venture and the unique type of leadership it takes to lead people out of nothing into something. The philosophies I used to climb the professional ladder were ultimately those of an entrepreneur. So, it was at that moment that I did something that required a lot of courage and perhaps a bit of a miscalculation to some. I decided to go start a consumer internet company, in Kansas City, with a limited network, no prior founding experience, and only cursory knowledge of how to write code. What happened next I can only explain as a roller coaster in the Grand Canyon with no working seat belt. We sold all of our belongings in one week, liquidated all of our savings, and invested them into the company. Fast-forward six months later and I was in the San Francisco Bay Area recruiting talent, raising a seed round — The Silicon Valley Dream. My wife, still not sure whether it was a big miscalculation or a little one, was on the other side of the country in Florida with our children waiting out the storm at her parents’ house. Eventually, she believed enough to move our young family to Mountain View, California to join me. Fast-forward again, four years later, to Christmas time December 2014. My wife sat on the floor, against the wall of the living room in our two-bedroom apartment where we were living the startup life with our two kids. I had just come home from meeting with the last of the employees to be let go from the company I had founded four years earlier. It all came at me that day. That moment. I walked into the room, we made eye contact, and then I slumped to sit on the opposite side of the room with my back to the wall, literally and figuratively. We faced each other. I could feel a vein flex in my head and I could see the look of shock and pain that was in reflected in her eyes. The words “the company is dying” had been circling my brain and haunting my attempts at sleep for months — but this was the first time I actually managed to say the words out loud. It was like a loud thud. “The company is dead”, I said. It looked as if I’d be headed back to Kansas City with my tail between my legs and defeated. I had a family to raise. What was I doing? I didn’t go to Stanford. I didn’t even have a college degree. Who was I kidding? I didn’t belong in Silicon Valley. I was an outsider. Every job spec I read for roles senior enough to allow me to stay in the Valley with a family required a Bachelor’s from a top school. I was just a black man with no college degree and a dream of fulfilling my true potential, so that my daughters wouldn’t have to live my life. That did not seem like enough. To make matters worse, time was running out. I lost the entirety of our savings when I lost the company, so we really had no cushion. The very first call that I received after realizing that I had to shut down the company was from a partner, Ben Horowitz, at Andreessen Horowitz, which had made a seed-stage investment in my company, AgLocal (an online marketplace that matched meat from independent and family farms to restaurants, stores, and consumers). He had been helpful as I was shutting down my company, so it was not unusual to hear from him. This time Ben was calling to find out if I’d be interested in working at one of the a16z portfolio companies or at a16z itself. I was shocked, stunned. The last thing I expected was for them to call me and see if I wanted a job. It turned out that as I was running my company into bankruptcy, the firm was getting to know me. They saw skills and talents that they believed they and their network could use. They looked into the real me. They didn’t see “black, no college degree, outsider.” They saw Nait Jones. 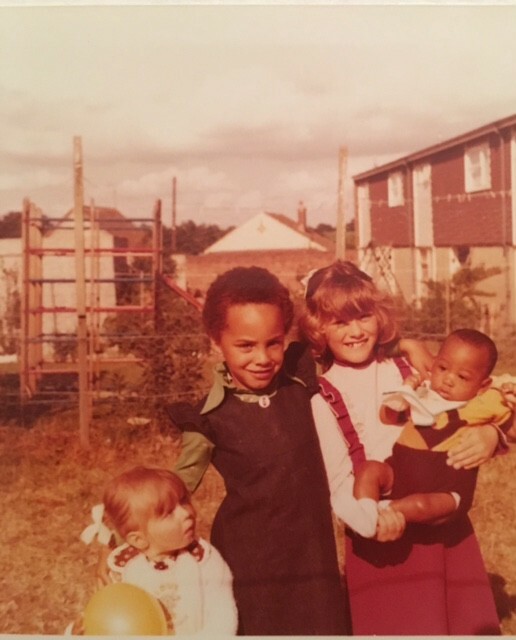 When you picture the typical person working in venture capital, you don’t picture a black kid from England who ended up being raised in Kansas City of all places. You probably wouldn’t expect someone working at a VC to tell you they survived in his 20s running the streets with hardened people. You wouldn’t expect to hear stories of a hopelessly broken home. You don’t picture a 22-year-old kid living in his own car, nor that being the beginnings of a career in Silicon Valley. And you probably don’t picture a person not only without a college degree, but also without any college courses whatsoever under his belt. THIS is the profile of a Silicon Valley outsider. These are attributes that wouldn’t show up on a resume, but that are every bit as important to understanding how I make decisions and solve problems in both my personal life and professional settings. On this note I have to admit, I’m fairly disappointed in the focus on diversity as currently applied to the hiring practices for tech jobs in Silicon Valley. I laud the attention that all the efforts out there have given to the subject of diversity and inclusion as it is a very real problem, and one that should be solved. However the answers are not as easy as sheer numbers. There is a lot of context and nuance that is being skipped over. Many of the efforts I’ve seen are sincere and the people running these programs obviously mean well. I am grateful that they care and I want their work to succeed for many reasons. But I also want to avoid being trapped by a scapegoating mentality that prevents us from getting to the heart of the matter. Some of the “hot takes” and thought pieces I’ve read seem to be written for insiders by insiders, and in some cases there seems to be more of an attempt to appease critics and to frankly provide a platform for people to virtue signal and market than to broaden actual opportunity. How did we get to this point? I believe it’s because Silicon Valley spends a great deal of time explaining that the work and innovation that’s being done here is changing the world for the better. But when mocked for having highly paid, homogenous workforces, the now-embarrassed companies hustle to counter the reports. They highlight the hiring of people from underrepresented groups that they would have hired anyway to create the illusion of broadening the talent pool. Which leads to the bizarre situation that we are now in where minorities and women who are insiders are the most sought after employees in the world, Silicon Valley’s inclusion numbers are low, and everyone is complaining about “the pipeline problem.” Critics praise the companies and firms who are reinforcing the very problem. Meanwhile, true outsiders like myself are discounted to zero. So you would understand — given where I’ve come from to get here — that I would be personally offended by this practice. I am, but that’s not the point. The point is that what is currently being celebrated is a specific type of inclusion while we are completely discounting another kind of equally important inclusion. By celebrating the inclusion of insiders — people of different genders and races who have been pre-assimilated into Silicon Valley via Harvard or Georgetown or Stanford — the industry misdirects attention from the inclusion of actual outsiders. We don’t change much by publicizing that we have hired people that we would have hired anyway. Under the current philosophy the rich (and this includes culturally and educationally rich) only get richer. You’re a woman who went to Harvard, we have a job for you! You are an African American engineer from MIT, we have 6 competing offers! That’s not to say that these candidates aren’t fantastic, they are. It’s saying that we’re not looking past race and gender to other forms of socioeconomic mobility. I believe that it’s time for a more encompassing inclusion discussion. One that focuses on finding ideological diversity, one that uses advanced methods to identify and make machine-readable raw talent that isn’t pre-screened by Harvard, or maybe even by any college. What are the methods that can be used to find extraordinary people who are every bit as smart and capable as the Stanford grad but from a starting block much further back? At its core, isn’t inclusion and diversity a mobility and company performance issue? Isn’t the idea that businesses could be better and more productive by widening the net for more people striving to achieve the American dream? Why do we bias our programs towards only the pre-assimilated? Some of it is because we already know what our (or the abilities of those we admire) look like; it becomes a quick shortcut to screening competence. People tend to think “Hey I’m competent and I worked at Google and came out of Stanford CS so this candidate must be at least marginally competent as well”. But inclusion rings hollow if all it does is give opportunities to people who have plenty of opportunities, and only identifies talent that is already easier to identify. Inclusion should be an answer to the issue of finding brilliance, talent, and new ideas across the entire population both inside and outside of the existing institutions and backgrounds. Diversity of economic background and diversity of worldview in hiring processes is largely ignored for identity-based diversity. Going to the same institutions and screening models creates a narrow archetype for what intelligence and ability looks like. Those candidates already stand out and won’t lack opportunities. It’s the talented individuals who are hidden that are the unrealized success stories: The single mom from East Palo Alto who learns how to code on the weekends while she works at Home Depot; the street kid with the natural hustle and sales ability from South Los Angeles who was kicked out of school before we could learn that he has naturally gifted abilities that translate to sales operations; and on and on. Finding and retaining this type of talent is a hammer that can change organizations by immediately shifting the energy and atmosphere of the workplace. This is exactly why inclusion done right is important — we will all be better for it. 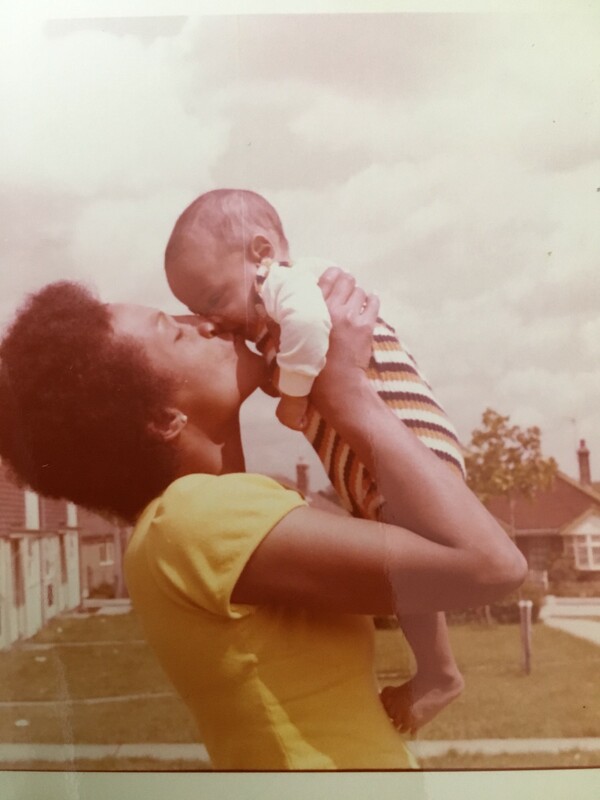 This post is dedicated to my mother Ann … and to all of the outsiders everywhere who can’t seem to find a way in.